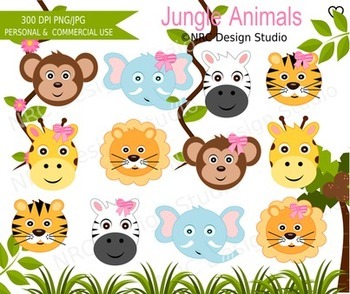 This set includes 17 Jungle Animals clip art images provided in separate PNG and JPG formats. All images are 300 dpi High Resolution. We hope our set of Jungle Animal images will allow you to create some lovely educational printables, teaching resources and/or products. Let your creativity flow with a little help from our images!